How can I Prepare to get a Body Piercing? Piercing guns are not always sterilized, which may lead to infection. Many piercers have portfolios and are delighted to share them with potential clients. It's important to consider your workplace regulations regarding piercings before getting one done. 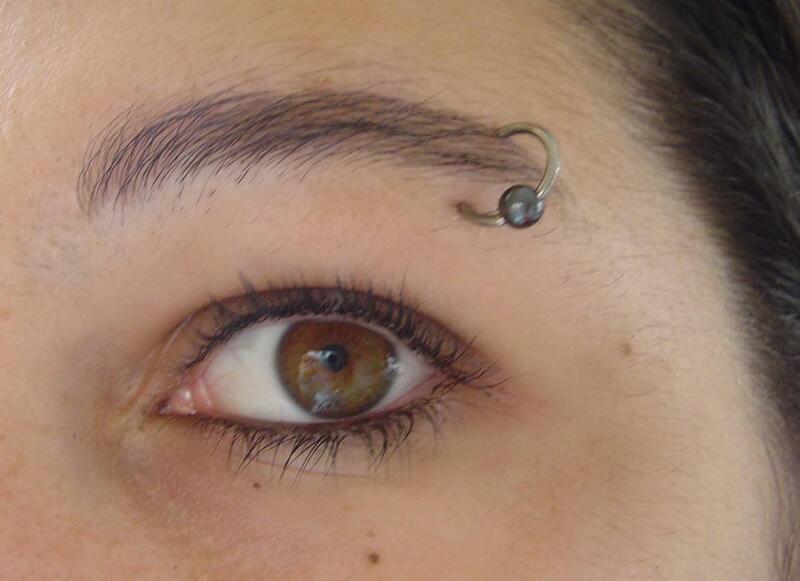 Numerous factors should be considered before taking the plunge and getting a new body piercing. While piercings lack the permanency of tattoos, some body piercings have longer healing times than others, and most leave a scar when removed. Someone intending to get a new body piercing should thoroughly research the specific body piercing he or she intends to get, noting how long the healing time is, whether there are associated complications, and how soon the piercing can be removed or changed, as may be necessary to satisfy the terms of dress code. 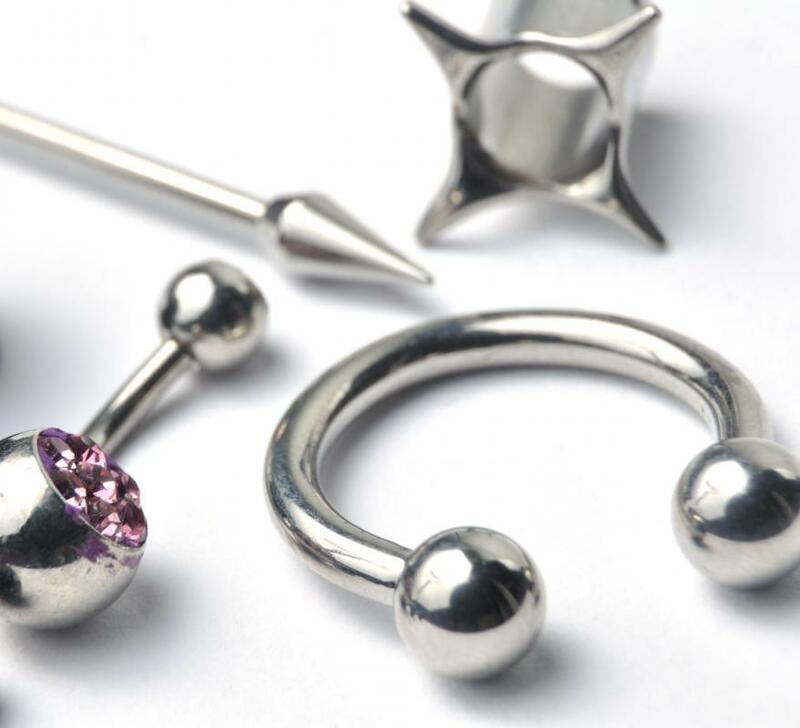 Once a body piercing has been researched and selected, the next step is to examine body piercing studios. 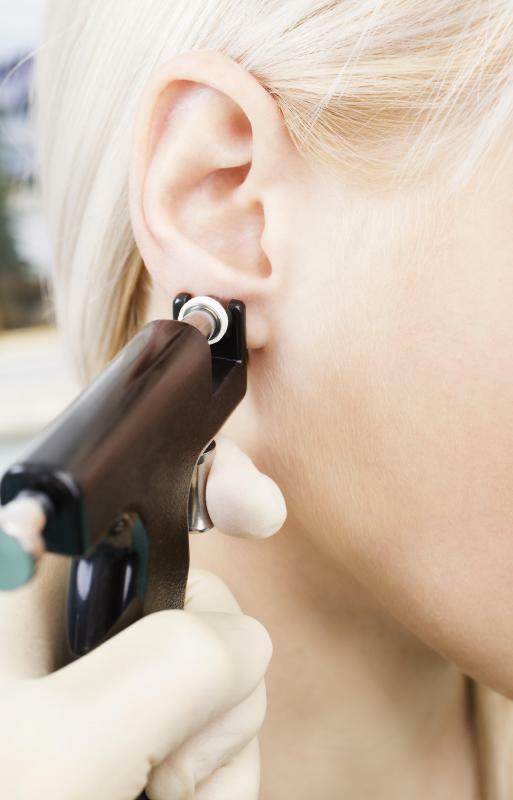 Even for ear piercings, the use of a piercing gun is not advisable, because piercing guns are not sterile and may lead to infection, blow out of the piercing, or unsatisfactory placement. Therefore, it's important to go to a trained body piercing professional working in a sterile shop. In urban areas where multiple body piercing shops are available, it is an excellent idea to visit a few and get a feel for the cleanliness of the shop, attitude of the staff, and quality of the work. As is the case with tattoo artists, many piercers have portfolios and are delighted to share them with potential clients. It is also usually possible to find written reviews of shops by clients, indicating their impressions of the shop. Things to look for when entering a piercing shop begin with cleanliness. The floors should be neatly swept and mopped, and all the surfaces should be wiped down and free of clutter. The restroom should also be clean. Many piercing shops have their autoclave readily visible, and they are required to provide spore testing results for the autoclave, should clients request them. The staff should be courteous and helpful, answering any potential questions you have about the piercing and aftercare. the shop should obey the laws and civic codes of the area, including restrictions on underage piercing. Meet the piercers, and choose one to talk with about your potential project. Ask about rejection rates for the piercing, how long it takes to heal, and what kind of materials can be used in the piercing, and when. Many shops pierce with implant grade surgical steel and are happy to swap it out for wood, bone, glass, or other materials once your piercing has healed. Many piercers will ask to see the area of the piercing to make sure there are no physical obstacles to placement, and most will also ask if you have health problems or issues they should know about. If you are uncomfortable with the atmosphere in the shop, or your piercer, leave! After selecting a shop and a piercer, make an appointment. Many shops accept walk in appointments, especially for basic piercings, but an appointment never hurts and guarantees that you get the time and piercer you want. Come prepared to pay for the cost of the piercing and the jewelry, usually billed separately, and bring a small tip with you for the piercer after your session is over. Many piercing shops will ask you to sign a release of liability and provide photo identification before piercing, as well. During the piercing process, watch to see that the piercer, wearing gloves at all times, sets out a fresh autoclaved needle and autoclaved clamps on a sterile tray for your piercing. Make sure that new cotton swabs and tools are set out and that the area of the piercing is sterilized. Check the placement marks in a mirror, and if you are not satisfied, ask that they be moved. Then sit or lie in the position the piercer indicates, take a deep breath, and visualize your new body modification. Afterwards, go over aftercare instructions carefully with your piercer, making sure that you understand them fully. Always follow the aftercare directions given by your piercer for the best results, and do not be afraid to call or stop by the shop if you experience difficulties with your piercing. You are a walking bulletin board for the piercer's work, and he or she wants your piercing to look its best. When well cared for, a body piercing can provide a lifetime of enjoyment. What Are the Best Tips for Ear Piercing Aftercare? How Do I Choose the Best Body Piercing Courses? What is a Subdermal Implant? What Is a Chin Piercing?